For patients who would like to be examined and treated at home (outpatient) and are allowed by doctor, Hong Ngoc General Hospital will assign specialist to come to your house and offering the instructed medical services. Patients will be only charged for the agreed packages and do not need to worry about additional fees such as tip for nurses or technicians. In cases you or your relatives couldn’t go to the hospital due to bad weather, late night or other reasons such as not too serious symptoms, you could call us at our hotline and follow our instruction. 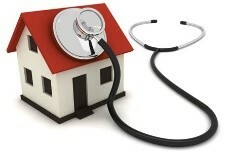 The specialists will ask you detailed clinical symptoms and causes of illness. Based on these information, he or she will advise you temporary treatment method if the illness is not serious. For emergency situations, you will be required to go to the hospital as soon as possible. For patients who have already examined and provided with prescription from our doctor, there is the mobile phone number of the doctor on the examination form. You could directly call them to ask for advices if there is anything problem during your outpatient treatment. If yo u are required to take some blood tests but do not have time to do or do not want to visit the hospital, call us for home testing services. When you call for appointment, please provide us with personal information (name, DOB, phone number, home address) and the list of tests that you are required to undertake. On the basis of provided information, we will assign our team to visit you for collection of sample. 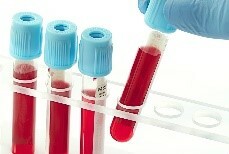 The test results then will be emailed to you or sent to your home address for convenience. 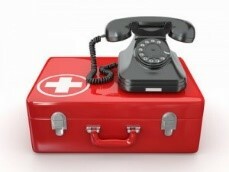 Please contact us at Hotline +84 24 3927 5568 Ext 0 for make an request of home medical services. Thank you for trusting Hong Ngoc General Hospital!